Showcase your style with this beautiful royal blue long kurti in a realistic and faster way. This stitched kurti made from georgette fabric & enriched with floral design embroidered work. Perfect for parties casual outing & weekend get together. 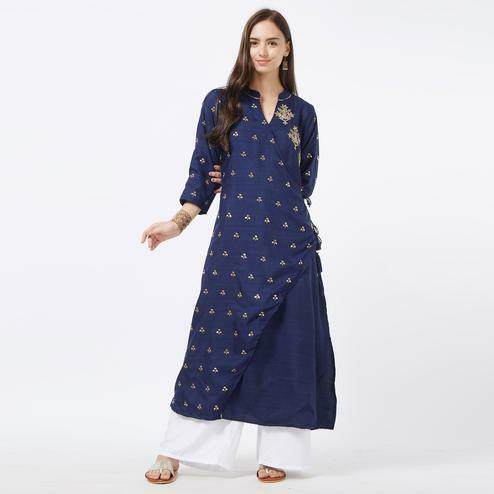 Pair this kurti with contrast color leggings or jeans for a complete look.